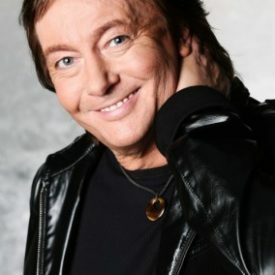 Breathe Me In is the tenth solo album of the former “Smokie” frontman Chris Norman. After the retro-disc Full Circle, for which Norman recorded some of the old hits, Breathe Me In is an album full of absolutely new tracks. Again, David Brandes (Bad Boys Blue, E-Rotic etc.) was the producer. He was also responsible for the last albums of Chris Norman. For example When The Indians Cry, a wonderful rock-ballad which gives you a goose pimples effect, Heartaches reflects the classical “Smokie” flair in the actual way of sound, or the track Sweet Surrender which has its basic roots in rhythm & blues. 1978 Norman had his first solo hit with Stumblin’ In, 1984 followed Love Is A Battlefield (Pat Benatar released this hit at the same time). 1986 finally his breakthrough with the Tatort title-song Midnight Lady. Further success followed. 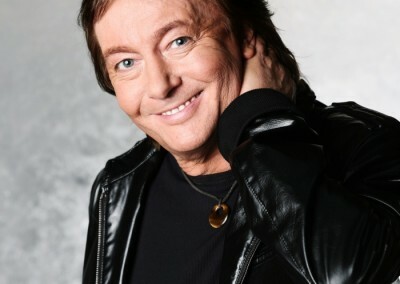 1994 Chris Norman was honoured by CMT Europe to be the International Video Star Of The Year. With Smokie we had success all over the world, but our greatest success we always had in Germany, says Norman today. In Germany there has always been the highest interest in my solo albums. Chris met his wife Linda in the year 1967 at a Smokie concert in Elgin, Scotland and the Norman family live together on the Isle of Man in the Irish Sea. He has a studio in his house and here Chris fiddles around with new songs. Through all his success, Chris always stayed rooted to his native soul.